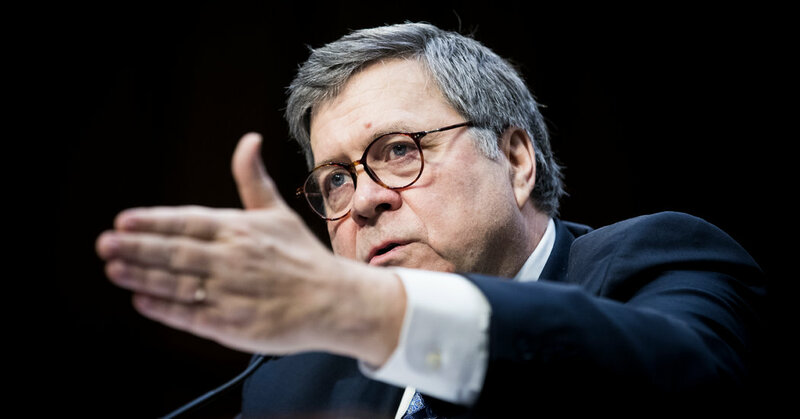 • Attorney General William P. Barr is scheduled to testify before Congress on Tuesday and Wednesday to discuss the Justice Department budget, a usually staid affair that could become dramatic if lawmakers grill him about the Mueller report. • Members of the House and Senate Appropriations Committees may also question him about the Justice Department’s decision to stop defending the Affordable Care Act in court. • Mr. Barr is likely to try to keep the conversation focused on the department’s proposed $29.2 billion budget, which includes money for 100 new immigration judges as President Trump hardens his stance on immigration along the southwestern border. Democrats will press Barr on Mueller. Appropriations hearings are ostensibly about asking cabinet officials to justify their budgets, but Mr. Barr has already come under fire from Democrats for his handling of the highly anticipated special counsel’s report and will face a Democrat-led House Appropriations Committee on Tuesday. “The American people have been left with many unanswered questions; serious concerns about the process by which you formulated your letter; and uncertainty about when we can expect to see the full report,” Representative José E. Serrano, Democrat of New York and the head of the appropriations subcommittee that covers the Justice Department, planned to say in Tuesday’s hearing, according to prepared remarks. Mr. Barr has insisted that he is being as transparent as he can be and that he wrote the letter to share the main investigative findings with the public as soon as possible while he and other law enforcement officials review the full report. He has vowed to give copies to Congress by mid-April, after lawyers from the special counsel’s office and the Justice Department have had time to redact classified materials, secret grand jury testimony and information related to open investigations. Barr is likely to keep the sparks to a minimum. Mr. Barr was expected to avoid giving any answers that could generate headlines, especially given that his pick for the No. 2 spot at the Justice Department, Jeffrey A. Rosen, goes before senators for his confirmation hearing on Wednesday. Mr. Barr is likely to decline to answer questions about the Mueller report and instead stick with his budget priorities, which include more money to combat the opioid epidemic, crack down on violent crime and protect the country against national security threats. Watch for an immigration discussion. Lawmakers have demanded that the White House provide answers.